Housed in the restored dome of the historic Tivoli Theatre building. Handicapped accessible via elevator to both lobby/box office and theatre. GALA's bar/concession stand offers alcoholic and non-alcoholic drinks and snacks (chips). No drink minimum and theatre goers may take their drink into the theatre ONLY if it is a clear drink (water, white wine, etc.). No bar services during Student Matinees. off Park Road. Heading north on 14th Street from downtown DC, take a right on Monroe Street (heading south on 14th, take a left onto Monroe Street), go one block to Holmead Street and take a right, go to Park Road and take a right. The entrance to the parking garage is at the corner on the right after you turn onto Park Road. Validate your parking ticket at the GALA box office and pay a $4 flat fee instead of the hourly rate. Parking is also available in the Target garage off of Park Road on the West side of 14th Street (between 14th and 16th Streets). $1 per hour. GALA Theatre is on 14th Street, one block north of the Columbia Heights Metro Station on the Green line. Entrance is in the middle of the block. There is a parking garage available for GALA patrons GALA Theatre is on 14th Street, one block north of the Columbia Heights Metro Station on the Green line. Entrance is in the middle of the block. There is a parking garage available for GALA patrons in the Tivoli Square Complex that is part of the Giant Food Store with entrance on Park Road. Enter to the parking deck, and make sure your ticket is validated in the GALA box office: parking offers you a $4 flat rate for the whole evening. Limited street parking is available on 14th Street, Park Road, and Monroe Street, and other paid parking available in the Best Buy-Target Mall across the street (no GALA discount). I dare anyone to take his or her eyes off Omayra when she is performing the flamenco she was born to dance." &mdash; The Boston Globe 3) El viejo, el joven y el mar (The Old Man, the Youth, and the Sea) / World Premiere / February 7 &mdash; March 3, 2019 By Irma Correa (Spain) Directed by José Luis Arellano (2016 Helen Hayes Awards winner for Yerma) Based on historic events, Spaniard writer Miguel de Unamuno, who represents the power of reason, and a boy who dreams of tomorrow plan an escape under the watchful eye of the General guarding Fuerteventura Island. Presented in Spanish with English surtitles. 4) Fame, The Musical en español / U.S. Premiere / April 25 &mdash; June 2, 2019 Conceived & Developed by David De Silva Book by José Fernández (Cuba) Music by Steve Margoshes Lyrics by Jacques Levy Directed & Choreographed by Luis Salgado (2018 Helen Hayes Awards winners for In the Heights en español) A diverse group of ambitious, young hopefuls dream od stardom as they deal with life, love, and a tragedy at the prestigious high school for the performing arts. This production pays homage to the overlooked Cuban author who wrote the book for this world famous musical. Bilingual, with surtitles in both English and Spanish. FAME THE MUSICAL / U.S. Premiere / May 9 through June 9, 2019 Conceived & Developed by David De Silva Book by José Fernández (Cuba) Music by Steve Margoshes Lyrics by Jacques Levy Directed & Choreographed by Luis Salgado (2018 Helen Hayes Awards winner for In the Heights en español) A diverse group of ambitious, young hopefuls dream od stardom as they deal with life, love, and a tragedy at the prestigious high school for the performing arts. This production pays homage to the overlooked Cuban author who wrote the book for this world famous musical. Bilingual, with surtitles in both English and Spanish. English speakers recommended to sit in rows E through H in order to read the surtitles comfortably. If you require a wheelchair space please call the office, 202-234-7174, to book your ticket. 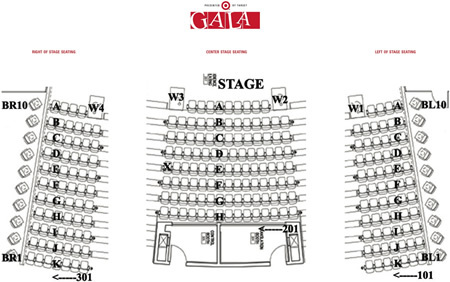 There are limited wheelchair spaces available for each show.